The Micro, Small and Medium Enterprise often known as MSME is an important part of a growing economy. It plays a pivotal role in the driving the growth engine. The manifest capacity of Micro, Small and Medium Enterprise for driving the economic growth and development at regional, national and global level can’t be neglected. They are concentrated and informal in nature. It is a sector driven by creativity and innovation of the individuals. The labour ratio in MSMEs is quite high when compared to larger industries where automation is becoming the major part of the production. Due to upcoming of these enterprises, the employment has increased as most of the production work is being carried upon by the people as they are comparatively smaller than the large industries in terms of inputs and expenditures. 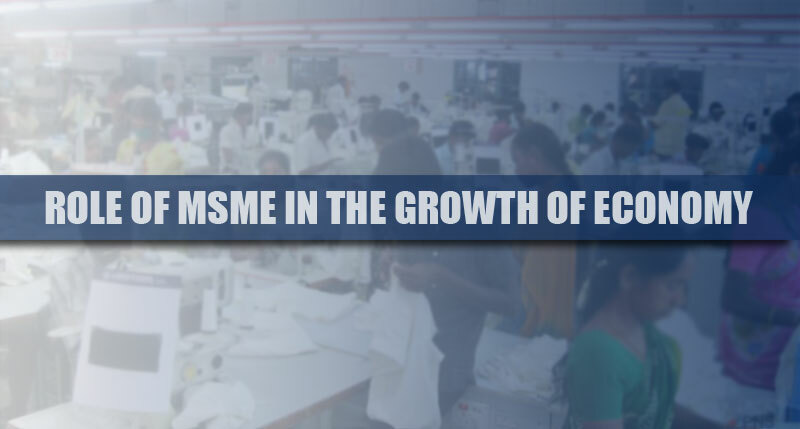 The MSMEs has a big hand in the growth and development of the economy of the country. Approximately about 90 percent of the industrial units and 40 percent of the manufacturing units fall under these sectors. They contribute in the GDP of the nation by generating employment opportunities for the masses. These sector has sustained an annual growth of 10 percent for the past few years. Due to its agility, the sector has shown effective durability against some economic crisis. The major significance of this sector is to generate employment with low capital and technology in the rural areas where they have empowered the economically weaker sections of the society. They have about 3 percent contribution in the GDP of our nation with 40 percent share in export and 45 percent in manufacturing output. • A micro enterprise is an enterprise under which the initial investment doesn’t exceed more than 25 lakhs. • A small enterprise is an enterprise under which the initial investment is between 25 lakhs and 5 crores. • A medium enterprise is an enterprise under which the initial investment is between 5 to 10 crores. • Micro in which investment is below 10 lakhs. • Small in which investment is between 10 lakhs to 2 crores. • Medium in which investment is between 2 to 5 crores. The government provides funds for MSME from the initial steps till expansion as the smooth flow of credit is very much crucial for any enterprise. More focus should be given to them in order to increase employment as well as the economy of the country.